Maine ranks 15th in the nation in terms of per-pupil spending and spent less per student than any other New England state, according to a Census report released late last month. 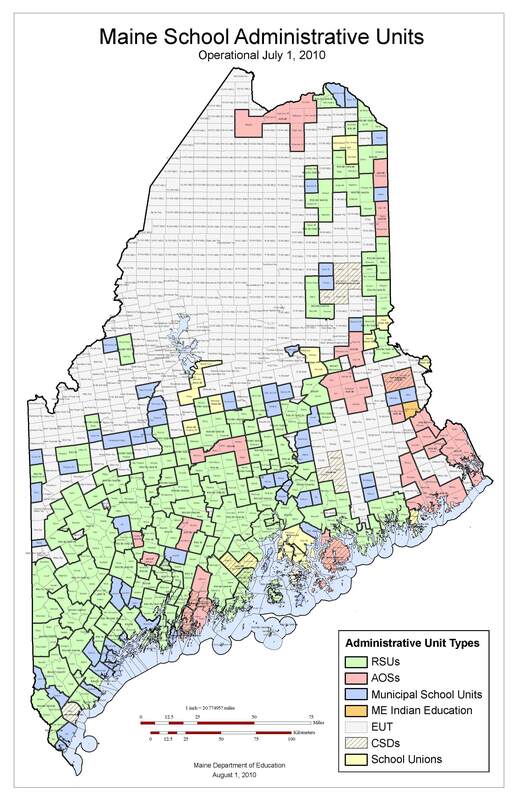 The numbers show Maine spent $11,572 per pupil compared to Vermont at $14,300; Connecticut at $13,848; Rhode Island at $13,539; Massachusetts at $13,454; and, New Hampshire at $11,619. The national average is $10,259. New York spent the most nationwide at $17,173 and Utah spent the least at $5,765. The data used is from the 2007-2008 school year, the most recent available for national comparisons. The U.S. Census Bureau in its Public Education Finances report also tracks where K-12 public school systems get their money. Maine got 7.7 percent from the federal government; 44.5 percent from the state; and, 47.8 percent from local sources, largely property taxes, for school year 2007-2008. The national average is 8 percent from the federal government; 48.3 percent from the state; and 43.7 percent from local sources. Maine’s numbers differ from what is typically reported because the state reports what share it funds of the costs recognized by the Essential Programs and Service funding formula. EPS does not cover everything schools have to spend to provide a comprehensive program. 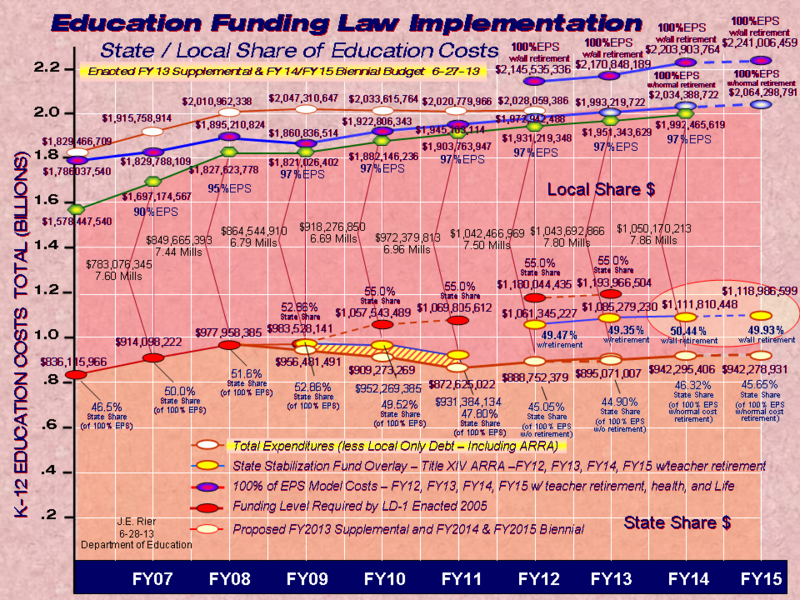 The EPS-based reports also do not typically talk about the federal share of education funding.